I thought the answer was obvious, but apparently the average consumer does not know what a gigabit switch is. I suppose the more accurate term for one would be “Gigabit Ethernet Switch”. An Ethernet switch refers to a device with a bunch of Ethernet ports on it for devices to plug into. The Ethernet switch is then plugged into a router, which is plugged into a modem, which is connected to the internet (hopefully). Think of it as a power strip for internet. However, a switch should not be confused with a router – a router assigns devices IP addresses and routes traffic, an Ethernet switch just allows more devices to connect to a router. The “Gigabit” part of “Gigabit Ethernet Switch” refers to the speed provided by each Ethernet port on the switch, which is one gigabit (equivalent to 1/8th of a gigabyte) of data per second. I have a few gigabit switches I keep handy. I use one of them for my own home networking, and the rest sit in a duffle bag affectionately known as the LAN-in-a-bag, or LANbag (which contains gigabit switches, Ethernet cables, power strips, extensions cords, etc.). 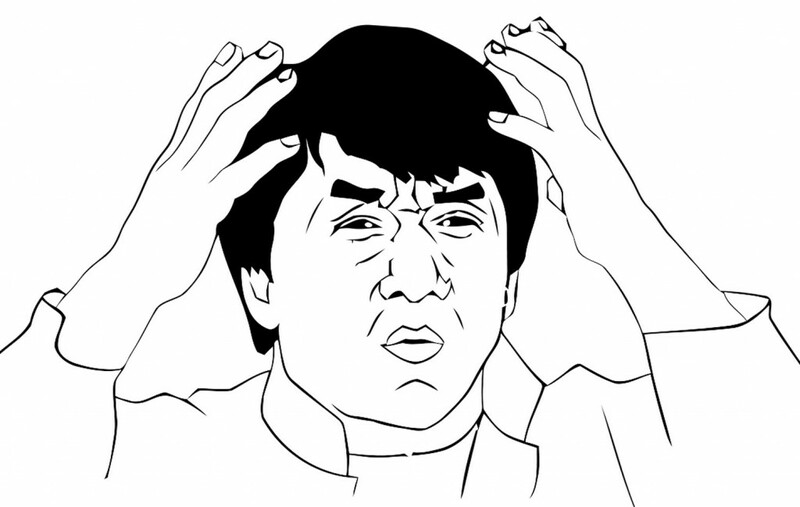 All my gigabit switches are unmanaged, which means they handle all traffic agnostically. An unmanaged switch is basically just a ‘dumb box’ that doesn’t know or care about the devices connected to it or the traffic passing through it. A managed switch has all sorts of configuration options, such as a command-line interface, remote management access, a web interface portal for management, along with all sorts of other more technical features. These are typically used for medium to large scale enterprise solutions. Netgear sent me their ProSAFE 8-port Gigabit Click Switch (GSS108E) for review, which isn’t clearly defined as a managed or unmanaged network switch. With regards to features and price, it seems to fit in with Netgear’s line of Unmanaged Plus Switches, though the line of Click Switches is technically separate from the Unmanaged Plus Switches. This designation is a bit of a misnomer, since both the Cllick and Unmanaged Plus lines have management features, though not as many as a full-fledged managed switch would. Wikipedia defines this category as “Smart Switches”, which are is a subcategory of managed switches. Being “Smart” means that the Gigabit Click Switch (GSS108E) can do all sorts of things unmanaged switches can’t do such as QoS (Quality of Service, which effectively allows the user to determine a hierarchy of priority for different types of traffic, like giving online gaming priority over torrenting for example), rate limiting (which is handy for all sorts of useful stuff like throttling your roommates’ internet to make sure you get all the bandwidth), and the ability to create a VLAN (virtual local area network, which is essentially a sub-LAN on an existing physical LAN). The Click Switch line is part of Netgear’s ProSAFE collection, which is Netgear’s Business/Professional class of network devices. Because of this, a lot of features the Gigabit Click Switch (GSS108E) supports will likely only be used in a business environment, but it still has a place in the home as well for the same reason you likely drive a car with features you never knew about, let alone use – it’s nice, works well, and the extra features are something to brag about, or use if you ever get around to reading the manual. The “Click” in the Gigabit Click Switch (GSS108E) refers to the most visible feature of the switch – the easy mounting bracket that allows for four different mounting configurations. It can be mounted horizontally, either from the rear or from the bottom, as well as vertically, also from the rear or the bottom, for a total of four possible configurations. Personally, I don’t have a good place to mount the switch in my apartment, and I imagine the leasing company may take issue with me screwing a gigabit switch into a wall. I could attach it to my desk, but considering I have years-old Ikea furniture I’m always on the verge of replacing, I figure it’s not worth my time or effort at the moment. If I were to mount the switch though, it’s very easy, it just requires use of the two simple screws that came with the switch. The switch is much longer than a typical unmanaged eight port gigabit switch, but of course, it has all sorts of management features that require additional internal hardware, and since you’re expected to mount it on a wall or under a desk, the difference in size hardly matters. There’s an obvious joke to be made here, but I like to think I’m above that. (I’m not). The Gigabit Click Switch (GSS108E) works beautifully as a plug n play unmanaged switch, requiring no initial configuration unless you want to do it. If you do decide to customize the settings on the switch, you can either do it via access to a web portal, or you can use Netgear’s ProSafe Plus Switch Utility software, which has quite a lot of options. The guide for that can be found here if you want to spend your evening reading technical manuals. To be perfectly honest, I have very little experience with professional-level networking, so many of the options were beyond my need or understanding. However, the ability to manage traffic over the switch is fantastic. For users that have a mediocre or poor router, the gigabit switch can make up for a lot of the router’s deficiencies (provided the user’s devices are plugged into the switch. A switch won’t help improve Wi-Fi signal or speed in the same way that a surge protector won’t improve your cell phone signal or speed, they’re not related). Another huge benefit of getting a Netgear ProSAFE switch is that they all come with Netgear’s ProSAFE Lifetime Hardware Warranty, as opposed to many consumer-grade switches which come with a warranty of just one year. This will be convenient for when you one day damage your gigabit switch in an unfortunate boating accident; the lifetime warranty will have you covered. (I’m fairly certain the warranty doesn’t actually cover unfortunate boating accidents). As listed in the specs, the switch has eight gigabit Ethernet ports, and it also includes two USB charging ports. These are nice additions as the presence of the USB ports differentiates the Click switch from other eight port gigabit switches, even to the casual observer. Some casual observers might mistake the USB ports for something silly like Firewire or HDMI, but that’s the fault of the observer; USB ports look nothing like Firewire or HDMI. 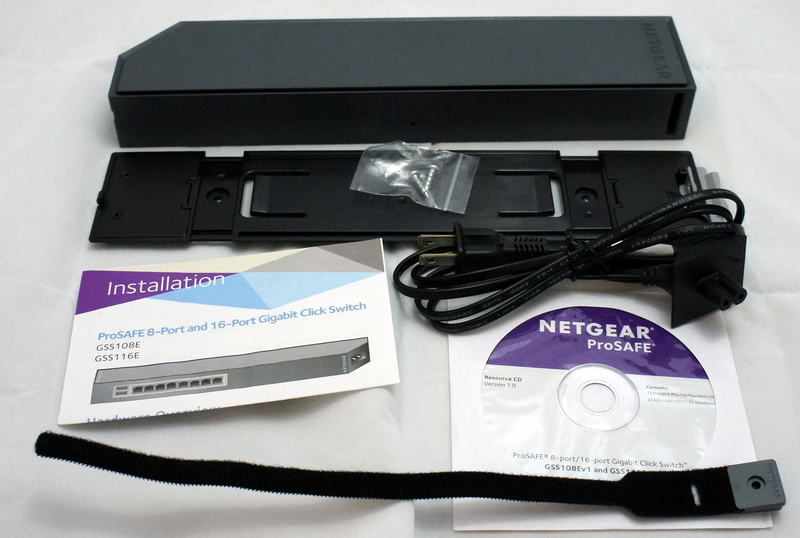 The Netgear ProSAFE 8-port Gigabit Click Switch (GSS108E) currently retails for $69.99. There are a couple things the average consumer may want to consider. 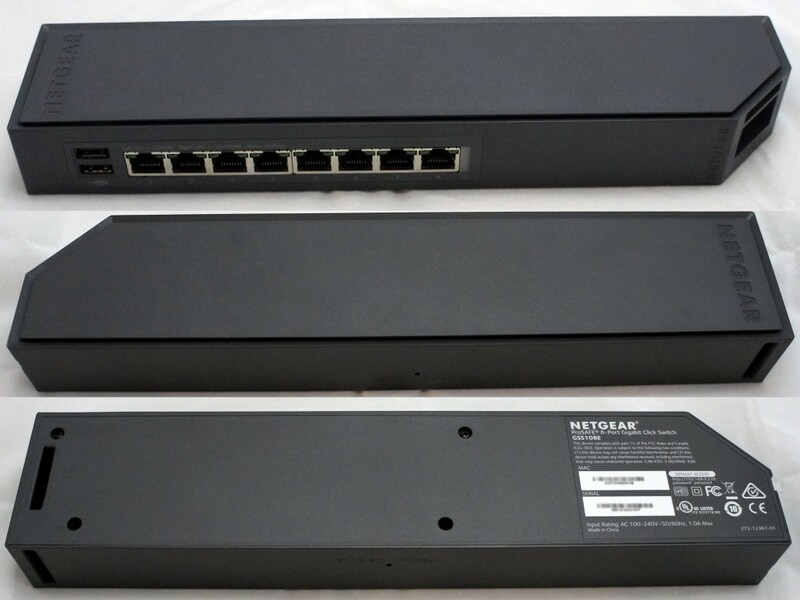 Unmanaged consumer-grade eight port gigabit switches can be found in the approximate $25-$35 range, so for someone looking for something very basic to just extend the number of Ethernet ports available to them might find the GSS108E might be too pricey. On the other hand, someone who has a poor to mediocre router might want the extra features included in the GSS108E, with the added benefit of the USB charging ports. In that case, the $69.99 GSS108E is a great value. Also, power users may want a gigabit switch with the modular mounting capabilities and advanced network management options the GSS108E provides, for far less than a typical managed gigabit switch would cost. In that same vein, businesses both large and small would likely benefit from an affordable switch which has a place in any conference room or at the hub of any set of desks. Gigabit switches are not something I typically put a lot of thought into, but thankfully Netgear does. The Netgear ProSAFE 8-port Gigabit Click Switch (GSS108E) certainly packs more features and value than I expected in a sub-$100 gigabit switch. I still don’t know what a Gigabit Switch is.